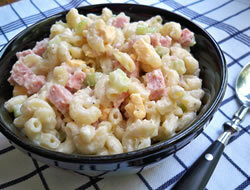 A simple to make macaroni salad but not simple on taste. 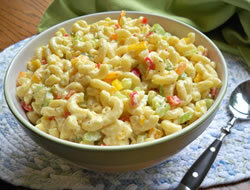 The combination of peppers and celery give this macaroni salad plenty of color, flavor, and texture. It will soon become the salad that you make whenever you need a great tasting salad in a hurry. 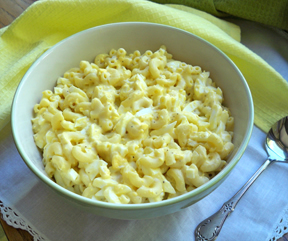 Cook macaroni according to package directions; rinse and set aside. Mix the mayonnaise, vinegar, mustard, sugar, onion salt, salt and pepper together in a bowl. Stir until well mixed. Mix the dressing together with the macaroni. 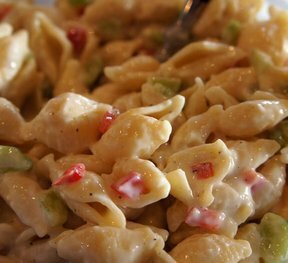 Chop the celery and peppers; add to the macaroni and dressing. Stir all ingredients together until evenly distributed and coated with dressing. Note: You can use any combination of any colors of bell peppers you prefer. You do not have to use all four colors. "Great salad! I loved the flavor that the mixture of bell peppers added to the taste of this salad. I will definitely make this again." "This was an easy salad to make and was so flavorful with the different bell peppers. It went great with the grilled hamburgers and hot dogs we had."